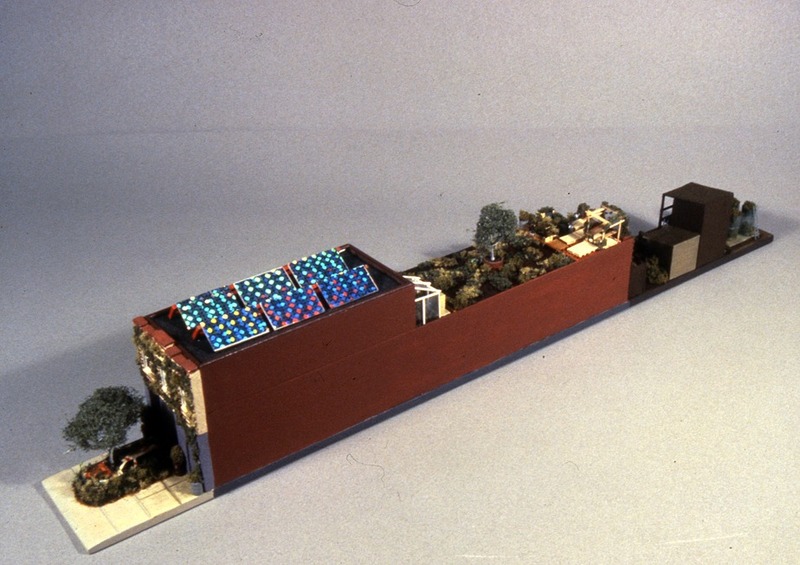 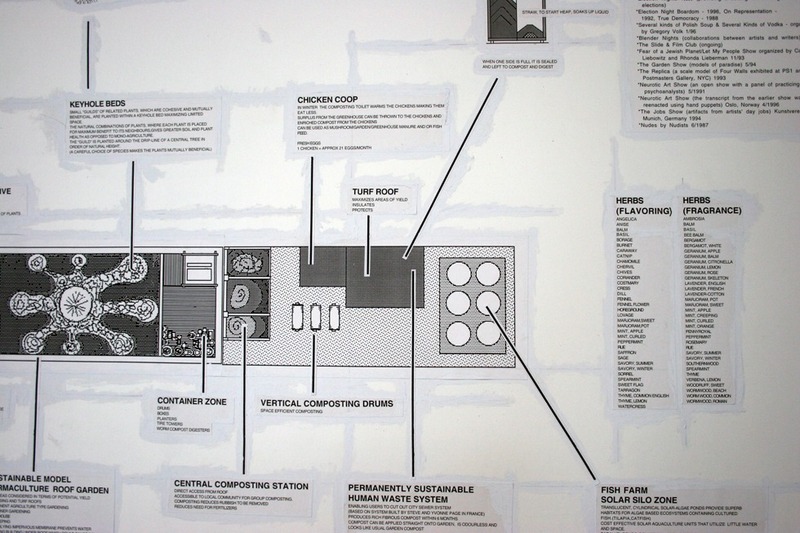 A proposal in HO scale model form with a large diagram that explains the redesign of Four Walls into a small self-sustainable urban farm. 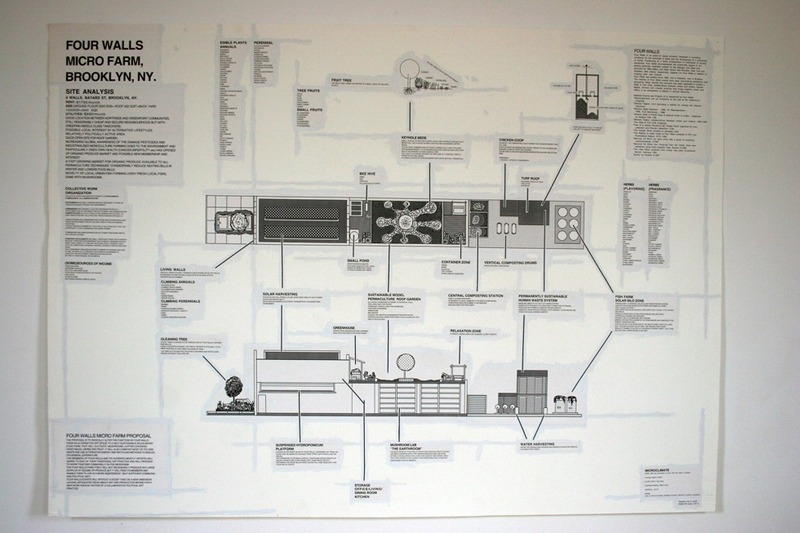 Four Walls was a legendary artist-run alternative space operating roughly from the mid 1980s to the late 90s, first in Hoboken, New Jersey and then later Greenpoint, Brooklyn. 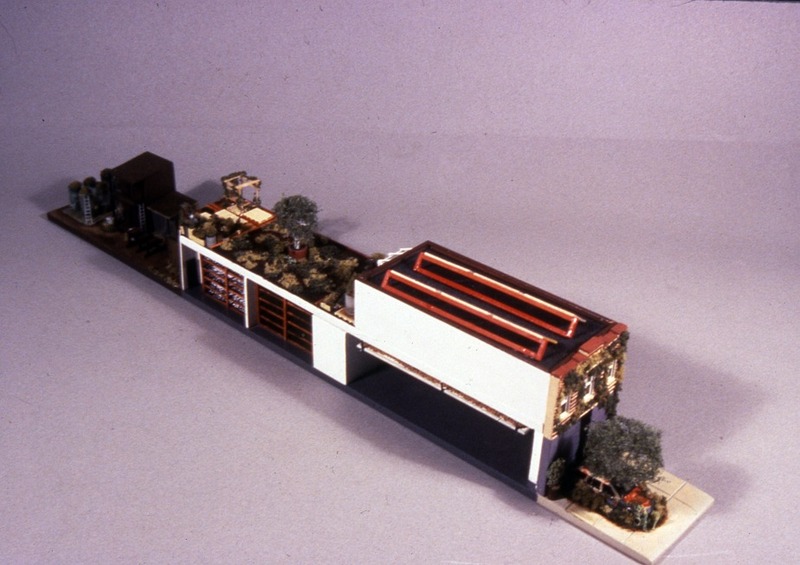 During its lifetime the organisers were Adam Simon, Matthew Sharpe, Claire Pentacost and Mike Ballou. 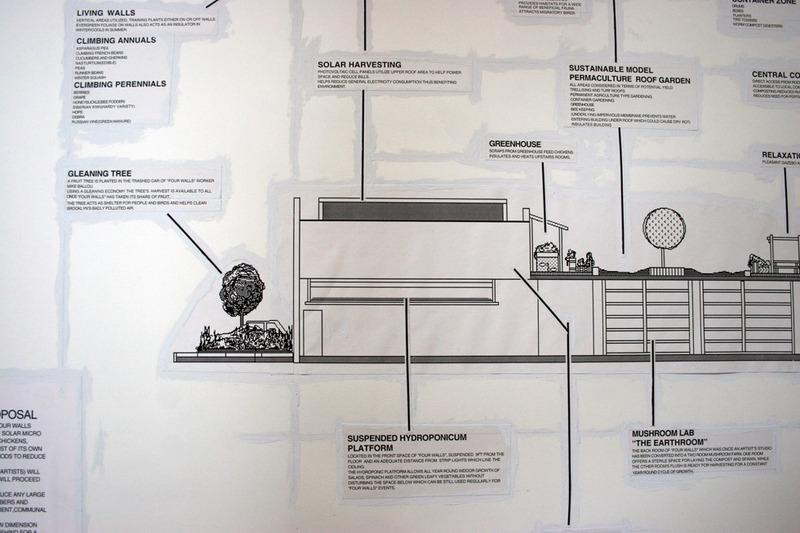 It hosted many seminal exhibitions, screenings, talks, parties and events.